It's Wednesday, your Cinco hangover has wore off and it's back to the grind stone. Not so fast my lovelies. 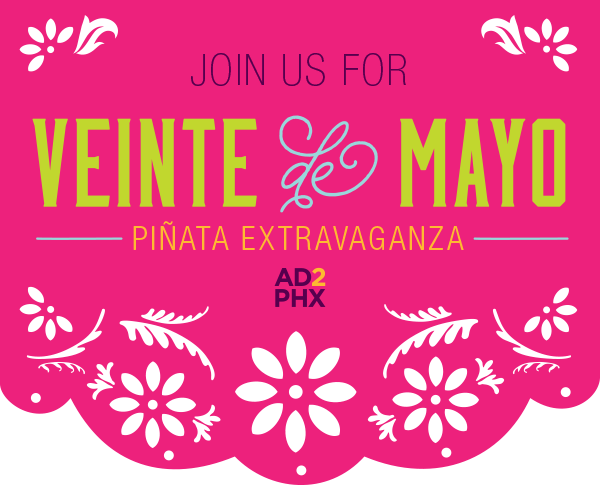 Ad2PHX is holding Veinte de Mayo, where you and your company can come and party your asses off again. The rules are simple. Your company makes one (1) piñata. You bring it to Veinte de Mayo and compete in a bracket like competition for best design. The losing piñata gets busted and the winners get a prize. Ad2 Members are FREE and Non-Members are $5. Do you really need a reason to have a good time?